Meet a financial adviser who used her wide experiences to get away from the desk and in front of the clients. Discover how this number-cruncher found success by following her passions. Patricia A. Kinnare-Musachio has always been a numbers person. “They’ve always come easy to me,” she says. So, it’s really not a surprise that the Lake in the Hills resident has devoted her professional career to helping other people manage their money. Kinnare-Musachio is a financial adviser for Kinnare & Associates Financial Consultants LLC, 1701 E. Woodfield Road, Schaumburg. Following graduation, Kinnare-Musachio went to work for a company that sold equipment to financial institutions. “I got to know the backroom operations of how banks and brokerage firms worked, but the job required too much travel, so I went to work in the trust department of a regional bank,” she says. Following yet another bank merger, however, she decided to obtain a financial planning certification and became a financial adviser in 1989. Kinnare-Musachio is widely trained in banking, insurance and securities, which gives her a unique perspective on income assets. Ten years ago, her firm joined LPL Financial, the largest independent firm in the country, which supports more than 13,000 independent and registered investment advisers through independent research, state-of-the art technology and a variety of investment tools. Kinnare-Musachio had offices in Oak Brook and Glen Ellyn before moving to her current location, which gives her better access to clients. She has a staff of three. The majority of her clients range between the ages of 45 and 80, and most of her business comes by referral. Her client base is spread out between Chicago, the suburbs, southern Wisconsin and Indiana. When she first started in the business, Kinnare-Musachio worked as a general adviser, helping clients with budgeting, saving, investing and paying off debt. Over the years, she narrowed her scope of services to primarily investment planning and portfolios. 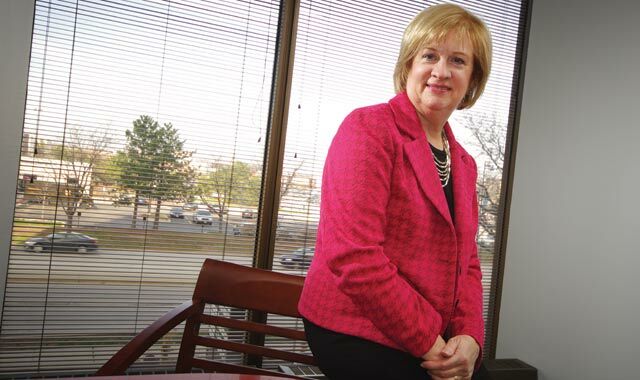 “Advisers need to be more focused, because the average person only has a 401(k),” she says. “They don’t have a pension, health care benefits or any other benefits. A 401(k) gives an average person a lump sum of money, but they don’t always know what to do with it. Unfortunately, not all investors have a solid plan. That’s where the adviser comes in. Kinnare-Musachio estimates that most people between the ages of 40 and 60 are not currently working with an adviser. The primary reason, she says, is that so many are overwhelmed with work, family and other distractions, and don’t take the time to focus on financial matters. Some would rather spend money on new electronics, for example, than meet with a financial adviser. Also, some don’t think they have enough assets to invest. To help people get a better grip on their financial future, Kinnare-Musachio is planning a series of educational opportunities to aid clients in making better and more sound decisions. Kinnare-Musachio enjoys the daily demands of helping people to manage their money. She has seen many successful outcomes, especially with people who’ve retired early only to find their next calling, whether it was a volunteer opportunity or starting a new business venture. This entry was posted on Monday, December 10th, 2012 at 11:59 am	and is filed under Northwest Business Magazine. You can follow any responses to this entry through the RSS 2.0 feed. Both comments and pings are currently closed.